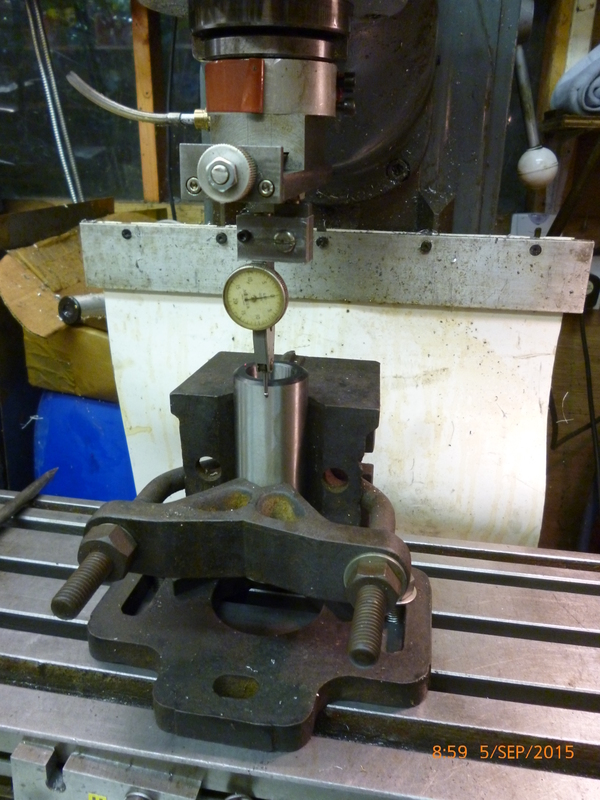 A taper needs to be made to fit the tailstock. 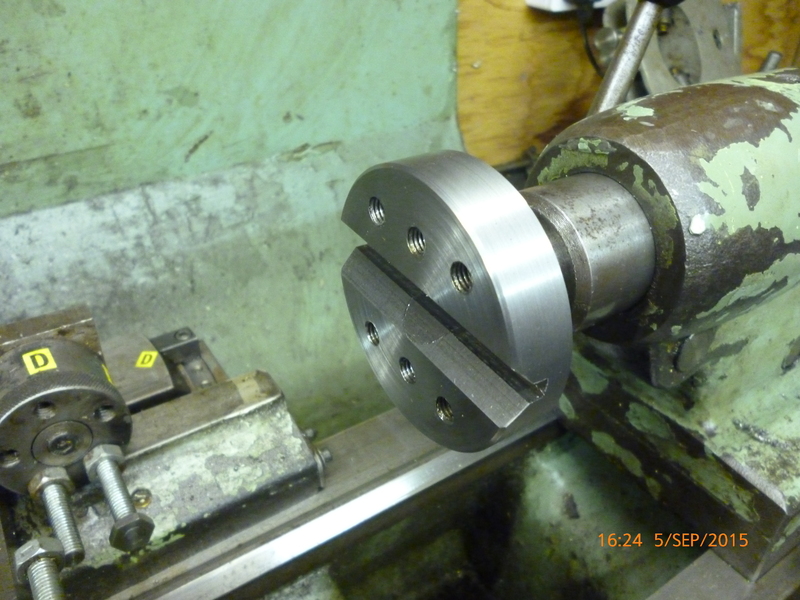 This is covered under – lathe making tapers. Alternatively a roughly made taper can be made. This is then Araldited into a suitable sleeve. 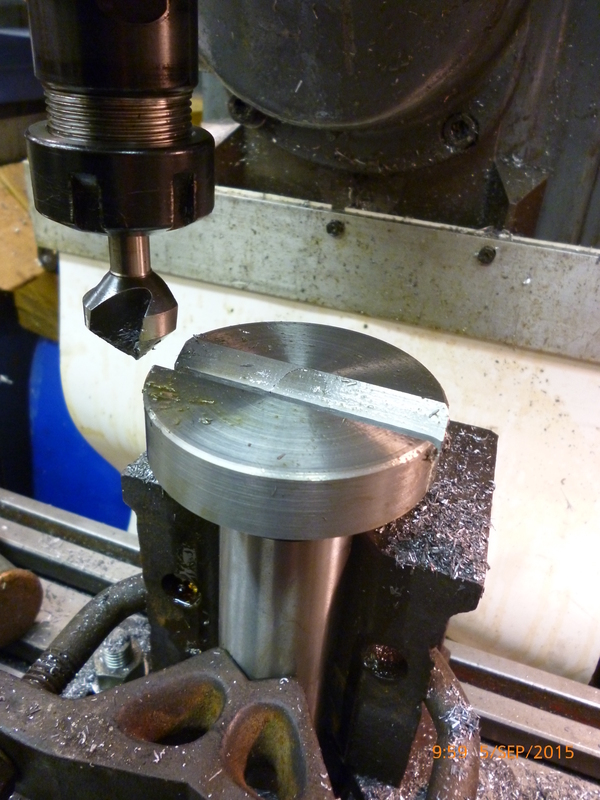 This is made so that a round flat piece is fitted to the wide end. There seems to be only one way of holding a taper. That is to fit in into a tapered socket. The solution here is to use a tapersocket to parallel shank adpater. This can then be held in a chuck or in a V-block with the axis of the adapter vertical. All that matters is that the adapter is centered accurately. The adapter is centered with the spindle using the dti on an arm device. Having done this the milling table is locked in the y direction. The jig is fitted to the adapter. It is gently hammered in so as to stop any risk of it rotating. What is needed now is a V cut in the round part of the jig. On a vertical mill it is unusual to get a cutter that will do this directly. What is done here is to cut a very narrow slot done the middle. A V is cut into this using a slot mill that has been ground to form a V-shape but on only one flute. The angle of this is not critical. This means it will cut both sides and they will be symmetrical with the spindle and so also symmetrical with the axis of the taper. 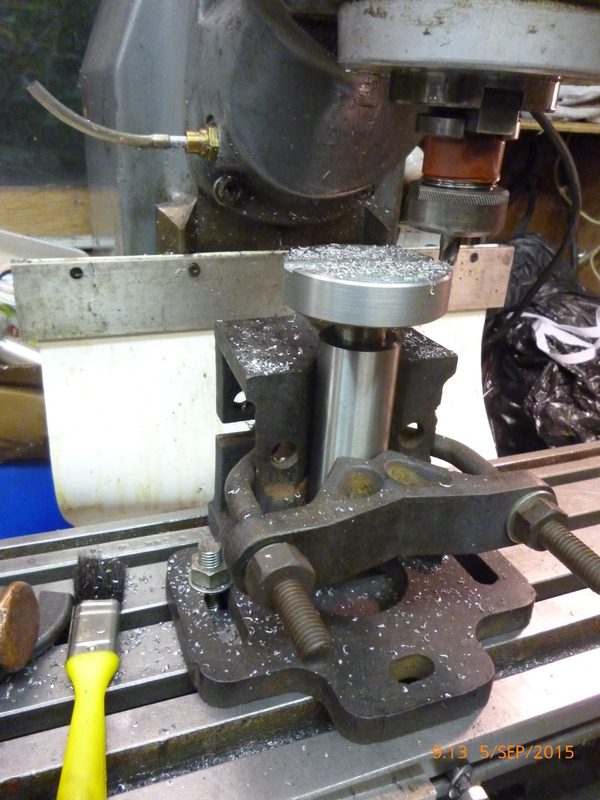 Some holes are drilled so clamps can be fitted to hold the workpiece in place for center drilling. The holes on the face of the jig are for clamping the workpiece. The easiest way to do this is by means of a clamp across the workpiece.